Religion can make you stink! In Late Antiquity, influenced by Platonic dualism, Christianity often promoted an other-worldliness. Let’s get out of this corrupt world as fast as possible so that we can enjoy disembodied bliss in heaven. And in the meantime, we despise all physical aspects of life. 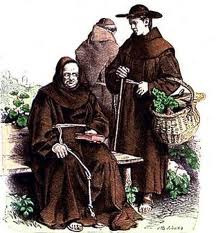 One feature of this perspective was indifference to dirt, most notably seen in the unkempt appearance of monks, and in suspicion towards public bathing. Cerbonius didn’t see things in that light. For him, the message of Jesus had very practical applications in everyday life in this world – love for his fellowmen, an interest in nature and especially a sense of justice and compassion. In “GOING DOWN THE DRAIN IN LATE ANTIQUITY“, Jo Stoner of the University of Kent also reveals a different side to the question of public hygiene in Late Antiquity. Thanks for the clarification. I did write that the article ‘reveals a different side to the question of public hygiene’. BTW: Is Luke Levan a pseudonym for Jo Stoner?